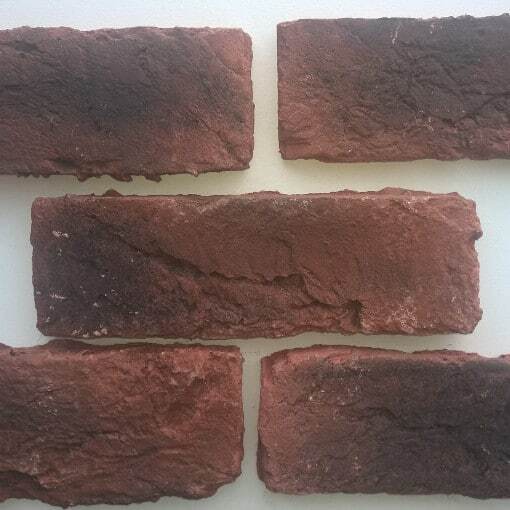 XL Foundry Red – Cast Brick Slip samples give the appearance of hand laid brick walls but with the convenience of easy installation and the benefit of huge cost savings. These rustic brick veneers are manufactured in the UK and once installed give the appearance of hand laid brick walls. Unmistakable reclaimed effect design features allow for a variety of architectural styles, whether it be a living room, dining room, office or exterior facing. A reclaimed range brick slip works well in both classical and modern arrangements, creating a unique atmosphere anywhere they’re installed. Our rustic brick veneers are manufactured in the UK and have been tested to stand BS 4551 and ASTM C67, C39, C567, C177-04, C67. They matched and in some cases exceeded other products in the same market place. These rustic brick veneers will be your backdrop canvas to assist in the creation of captivating interior designs owing to the individual character of the brick slips pattern and form. If used to renovate the outside of a property, for a new build or internally for a feature wall, your project is sure to impress. A Higgins Wall Decor choice will give you that designer look you’ve been after.